Mark Steyn could have not chosen a better lawyer to represent him than New York super lawyer Daniel Kornstein. I witnessed Dan’s ability to “think under fire” (also the title of one of his many books), to think creatively, and to apply his legal acumen and virtuosity as he challenged a decision made against me in a libel suit brought in London by a Saudi billionaire who attempted to intimidate me into silence, as he did with others who exposed his funding of al Qaeda. 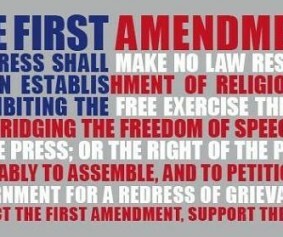 The ruling was made by a British judge who publicly stated his dislike of Americans and their First Amendment rights. 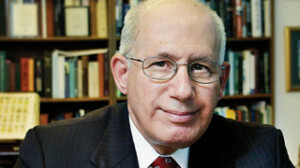 Moreover, Dan helped draft new laws guaranteeing that “American courts will not ‘recognize or enforce a foreign judgment for defamation’ unless that nation observes protections similar to ours.” First came the Libel Terrorism Protection Act, known as “Rachel’s Law,” which passed unanimously by the New York Legislature in 2008. Next, again with Dan’s assistance, came the Securing the Protection of our Enduring and Established Constitutional Heritage (SPEECH) Act, which passed with a rare unanimous bipartisan support in Congress and signed into law by the president in 2010. I wrote that after a hugely enjoyable and inspiring day in Madam Justice Matheson’s courtroom in Toronto watching a performance that would be impossible in the objection-choked procedural swamps of American “justice”. I have come to the conclusion that the system here is, in fact, evil – which is perhaps not the most helpful perspective when one is on the receiving end of it. So I am pleased to be able to announce today that several other fellows also have a fool for a client – see here, here and here. Daniel J Kornstein and his co-counsel Mark Platt were the driving force behind the most consequential free-speech legislation this century. Dan is an expert libel lawyer and a principled freedom-of-expression fighter whose clients have included Vanessa Redgrave, Bill Clinton, the Monkees, Harvey Keitel, Wilford Brimley, Fatal Vision author and sometime Sarah Palin neighbor Joe McGinnis (who died earlier this month), and King Michael of Romania, who made Dan one of the first inductees into the Order of the Crown of Romania in over 60 years. I’ve promised Dan that if we win this case I’ll get him made a Knight of the Garter or at least a Companion of the Order of Canada. Where I fall on that spectrum of clients, I’m not sure – I’d like to think somewhere between King Michael and Wilford Brimley, but it may be closer to the Monkees, and Peter Tork at that. Dan also has a touch of the poet about him. He delivered a speech on Balzac and the law at the Palais de Justice in Paris – in French. Which will come in very useful when I flee across the New Hampshire border to Quebec and Dr Mann applies to have me extradited. Dan and Mark’s most important client in the last decade or so was Rachel Ehrenfeld, whose book Funding Evil happened to include rather more details of Khalid bin Mahfouz’s bankrolling of al-Qaeda than the Saudi billionaire cared to have revealed to the world. So he sued her in a London court. Dan and Mark got Dr Ehrenfeld to countersue in New York to prevent Mahfouz from ever collecting, and, when the court declined to acknowledge it had personal jurisdiction over Mahfouz, they got the legislature to take up the issue and pass “Rachel’s Law”. This law prevents New York courts from enforcing libel judgments from other countries with lower standards of freedom-of-speech protection. “Throughout the book there are serious and defamatory allegations about yourself and your family, alleging support for terrorism through your businesses, family and charities, and directly. Had this kept up, it would have severely constrained the kinds of things American authors and publishers were permitted to write and publish on Islam and other controversial topics. Instead, “Rachel’s Law” made it impossible for the likes of Mahfouz to use “libel tourism” to hollow out the First Amendment. It was replicated by several other state legislatures and eventually in 2010 by the United States Congress, after a unanimous vote by both the House and Senate. As Jerry Gordon wrote, “Americans owe a debt of gratitude to the stubborn perseverance of Dr Ehrenfeld and the unsung hero in this fight her counsel, Daniel Kornstein, a pillar in the First Amendment bar.” But it goes beyond that. The first serious reform of English libel law (last year’s Defamation Act) was in part the result of “Rachel’s Law” and Dan’s discrediting of London as the first resort of libel tourists. By that definition, if “I’m A Believer” by Dan’s old clients the Monkees is played on a radio station in, say, Tuvalu, the Monkees are “transacting business” in Tuvalu and subject to their jurisdiction. This kind of procedural flimflam is what gives American “justice” its appallingly bad odor. At any rate, joining Messrs Kornstein and Platt will be Michael J Songer, co-chair of the Litigation Group at Crowell & Moring in Washington, DC. Mike won a big $919.9 million payout for DuPont over a trade-secrets theft case involving Kevlar, which I was planning to wear to court anyway. A critical element of that case, interestingly enough, was the other party’s deletion of emails. Mike is also a freespeecher, who teaches a course on the Law of Cyberspace at Georgetown University. He’s big on issues of copyright and intellectual property, which Mann has frequently hidden behind in his attempts to avoid disclosing the data and research that produced his “hockey stick”. In addition, Mike is a science graduate, so he understands both the technical jargon and, just as importantly, how to distill it for a jury. So I’m no longer an out-of-control full-bore crazy. Instead, I’m an out-of-control full-bore crazy who’s lawyered up to the hilt. This will leave me free to concentrate on my core activities of insulting judges and mocking Mann’s self-conferred Nobel Prize, while Dan, Mark and Mike do the boring stuff like looking up precedents and knowing what a tort is. It would not have been possible to put this team together without your patronage of the SteynOnline bookstore. I said that I wanted this to be a jurisprudential landmark – the first legal campaign entirely funded by sales of my Christmas disco record. Sadly, there seems to be a certain resistance to my intoxicating rhythms from some readers, so we’re also having to rely on book profits, commemorative mugs and mousepads, attitudinal T-shirts, gift certificates and the full cornucopia of delights at the Steyn store. But we’re keeping our heads above water, and for that, as we prepare to mount the first serious forensic investigation of Mann and his work, I’m enormously grateful. 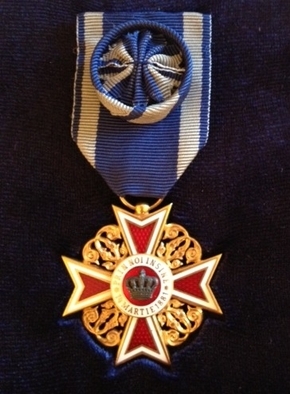 Daniel J Kornstein’s Order of the Crown of Romania. Unlike Michael E Mann’s Nobel Prize certificate from Kinko’s, this is genuine. I’m also overwhelmed by the number of lawyers from across America who have offered their services and advice pro bono or at steeply discounted rates. 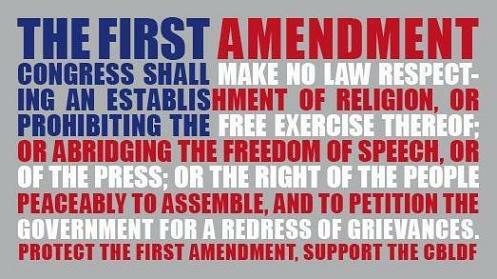 It is heartening to know how many understand the stakes for free speech in America. Dan, Mark and Mike believe in this case, understand its importance, and together we will prevail.